5G success for mobile operators depends on high-quality, granular network and application performance data. Here’s a truth about 5G that mobile network operators (MNOs) are facing: insight into network and application performance is only as good as the data collected for analysis. Garbage in, garbage out. ‘Garbage’ data creates an unfortunately common scenario where perception of how well a network is working differs significantly from how that performance affects the user experience. Aligning performance perception with experience reality is a nonnegotiable aspect of being 5G-ready. Is perfect 5G even possible? Speeds and feeds: dramatic speed increases involving near-zero latency, with true ‘always on’ availability—enabled by mesh backhaul. Monetizing 5G by combining network slicing with network-as-a-platform to support new apps and digital service revenue. Both are possible to overcome, but only by migrating network and application performance management beyond human control, into the realm of artificial intelligence (AI) and machine learning. 5G can be defined as a highly fragmented, dynamic, multi-tenant, mobile edge computing (MEC) environment. 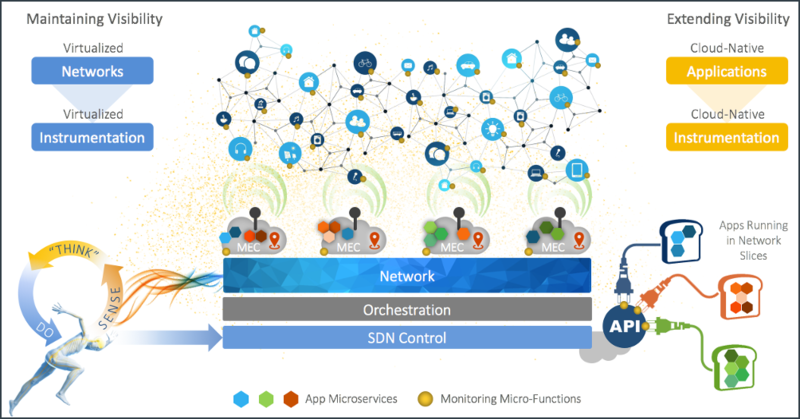 Here, cloud-native applications and monitoring microservices will cohabitate, with software-defined networking (SDN) control acting as a ‘nervous system,’ using its feedback to optimize digital services. Performance data be dynamic and precise, to accurately feed AI and analytics engines with meaningful feedback. Measuring parts of the service path be done continuously, aligned with dynamic segmentation. The proper functioning of this nervous system—which undergirds automated SDN for self-correcting adaptive networks—supports 5G as a growth platform for operators. The business value of this platform requires that operators operators transform themselves into digital service providers—purveyors of a ‘mobile cloud’. The 5G network environment is essentially a mobile cloud, or ‘distributed data center’ (aka network as a platform)—combining ubiquitous multi-access edge compute (MEC) with location awareness, exceptionally low latency, and alway-on mobile access. No more ‘dumb pipe’ access! Instead, the future lies with content, application, and service providers consuming the mobile cloud on-demand using open APIs. For the first time in the cloud economy, application performance can be guaranteed all the way from the cloud computer used to run the application through to the absolute mobile edge of the mobile user…or machine. Machine learning, using quality data, underpins the success of this 5G mobile cloud. Machine learning is fueled by data, and it only works as well as the quality of that data. It’s not enough to have velocity (real-time data), volume (broad geographic coverage), and variety (data from many sources across all network layers); for 5G networks, it’s also necessary to have quality of data: data that’s accurate and granular. The more accurate and granular data is, the faster machine learning can converge. If data quality is poor, machine learning will fail. MNOs may have big data, analytics, and machine learning, but if they don’t have high accuracy, high granularity, and ubiquitous visibility, it is not possible to use machine learning to glean actionable insight that’s actually meaningfully aligned with business goals. When operators are able to put their networks on intelligent autopilot by leveraging quality big data for machine learning, they will be successful with 5G. As the industry leader in network performance visibility, Accedian continues to innovate around fully-automated networks as a foundation for 5G. Our solutions are built on proven virtualization: scalable, reliable performance monitoring that can be spun up and down on demand the same way as virtual services. Virtual routing functions that can run in multiple Layer 3 domains. Interoperability to take advantage of existing reflectors. Plus, we offer our own lightweight software reflector that can be loaded onto white boxes and COTS servers. Measuring QoS and service path changes in terms of distance/hops the service is traversing. Ready for 5G… or not? How can an operator be sure their network is ready for 5G? Simple (or, maybe not): use performance validation that’s capable of seeing beyond the requirements of today. This must be done not after implementing new technologies, but before and during that implementation. The accuracy, granularity, and precision of information obtained by network performance data is questionable. Performance validation relies on aged (>1 minute) or averaged data. Capacity planning involves using a “safety margin” or rule-of-thumb. …then then network is probably not ready for 5G! Get in touch with Accedian. We can help! In his role as Senior Solution Manager at Accedian, Greg applies his extensive technical knowledge in the Carrier Ethernet industry to demystify complex topics foreign to both a technical and non-technical audience. He has more than 30 years of experience in the information technology and telecommunications industry with such notable companies as Memotec, Positron Networks, and Marconi. 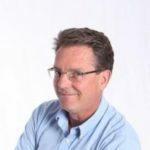 Over the course of his career, Greg has supported a large customer base with hands-on experience spanning an extensive range of hardware and software solutions. He has also been a key player in leading customer support teams and arming them to tackle the latest technologies being developed by manufacturers, and deployed by service providers. Greg is a MEF Carrier Ethernet Certified Professional.